Kate Middleton & Royal Baby Leave Hospital With Prince William: A First Look! A crowd of people waited outside of the Lindo Wing in St. Mary's Hospital in west London to see Kate Middleton and Prince William leave the hospital following the birth of the royal baby, but an even bigger crowd headed to YouTube to watch the Royal Channel, which was live streaming the door from which where the royal couple would exit. 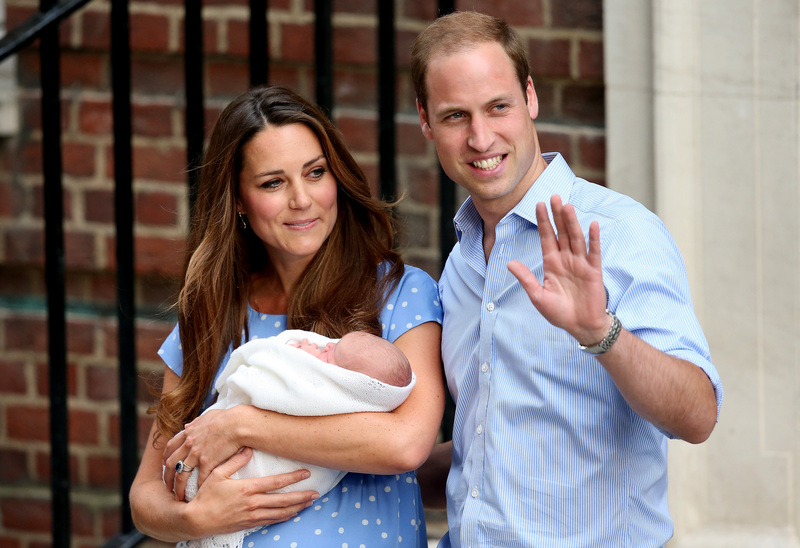 A first look at the royal baby was something everyone wanted to be a part of. At the time that I began watching the stream, 4,689 people and counting were waiting for the big reveal. People were growing anxious, as the ever-appearing YouTube comments portrayed. The rising viewer count also indicated that the royal baby watch was going to be a very big deal. It's no surprise that people are excited enough about the new royal baby to watch a door for an hour. Royal baby fever has hit both Europe and the U.S. almost as hard as the royal wedding did. People lucky enough to wait outside the doors and those waiting behind their computer screens watched this scene with the anticipation usually reserved for the nail-biting finales of Homeland. And then, at just over 7,000 viewers, Kate and William finally arrived, holding their little bundle of joy. "I'll have to remind him of his tardiness in the future, I know how long you guys have been waiting out here", said William of his son. The often quiet Kate spoke up, too, saying that "any new parents know this feeling." (Yes, but not all new parents are being watched via a live stream on the Internet.) They said they're still working on a name, but that the baby boy arrived safely and healthfully into the world. Kate even mentioned that Wills changed their son's first nappy. Swoon. We wish good luck to the little guy. He's already captivated an entire planet with his arrival — we hope he goes on to do great things.